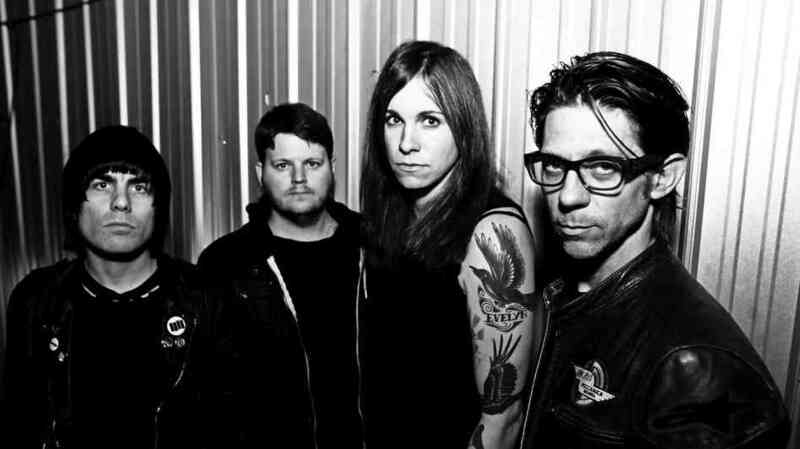 The punk rock group “Against Me!” is fortunate enough to feature a lead singer, Laura Jane Grace, who happens to be a transgender woman in transition. Formerly known as Tom Gabel, Laura and the band have recently released Transgender Dysphoria Blues, with 10 new songs which capture the early-mid 80’s punk feel, sometimes heading into the 90’s. Grace says it’s important for her to show a trans perspective to fans as well as the media, and hopes that by being visible and transparent, she can help erase the taboos so often associated with the transgender community. Her newfound self-assurance helped her to confront head-on variously themes within her songwriting, such as identity conflict and past feelings of shame. I’ve listened to their entire new album, and probably the best songs on it are “Transgender Dysphoria Blues,” “True Trans Soul Rebel,” “Two Coffins,” and I’m almost ashamed to say the title, “Osama bin Laden as the Crucified Christ.” Hey, it is a punk album after all… I think “True Trans Soul Rebel” is more than a little poignant. You can hear the entire album at this link, although I’m quite certain it’s not going to last too long since it appears to be a blatant copyright violation. Against Me! Lead Laura Jane Grace Talks ‘Honest’ Transgender Stance. This entry was posted in Entertainment and tagged band, music on January 31, 2014 by .